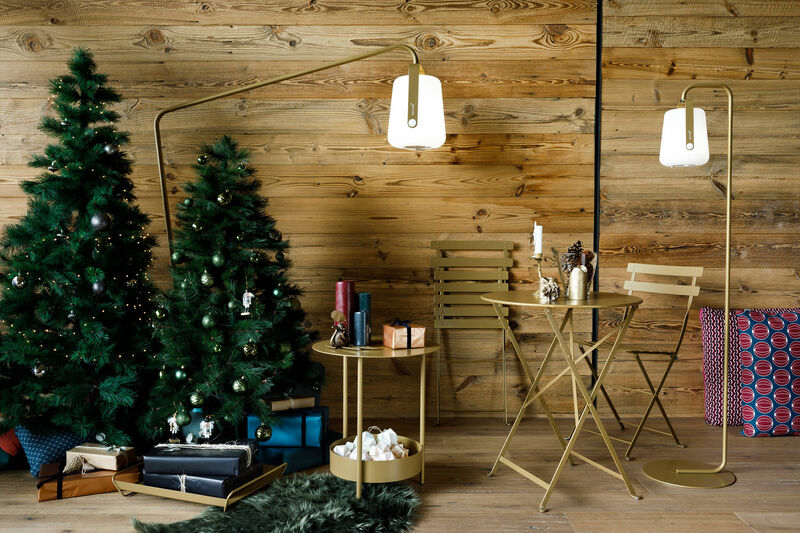 There’s a new colour for the iconic Bistro chair for the festive season ... 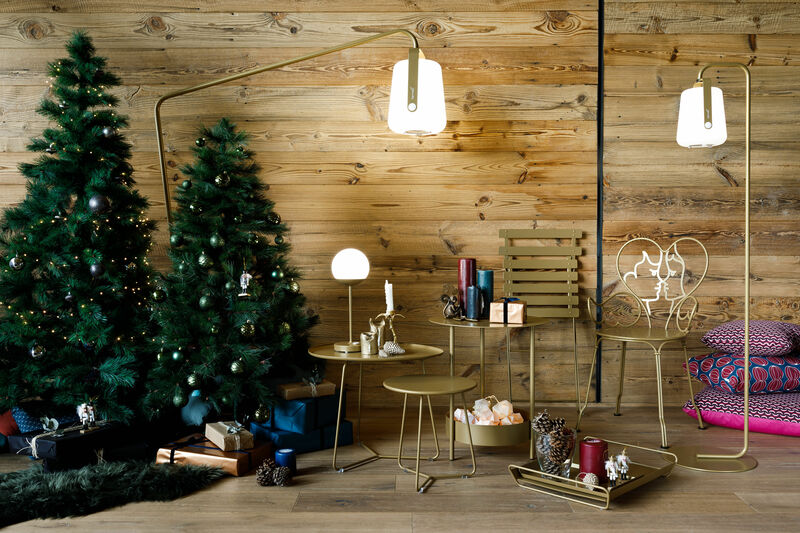 This seat is available in a wonderful limited-edition colour range: get your "Gold Fever" now! Enter the legend with the Bistro collection: original since 1889! Timeless and legendary, this foldaway furniture has been a hit for over a century. Times Square or Bryant Park in New York have never resisted its “so French” style. Created at the end of the 19th Century, the foldaway furniture was an immediate success with cafés: Solid, lightweight, simple and easy to fold away, it was the star of terraces in Paris in the 1900s! In 1889, Fermob registered a patent for a range of foldaway lacquered steel furniture: the Bistro collection was born. The Bistro table and chair are still made in line with the original models! This collection, which is full of ingenuity, simplicity and fun, has lost none of its charm and authenticity. 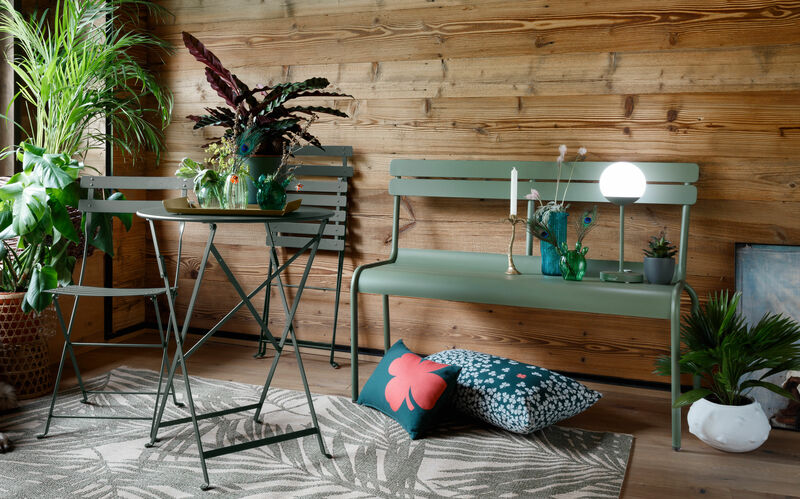 The Bistro range is ideal for creating a very nice dining area, indoors or out. In the kitchen, on the balcony, on the veranda or on a terrace. 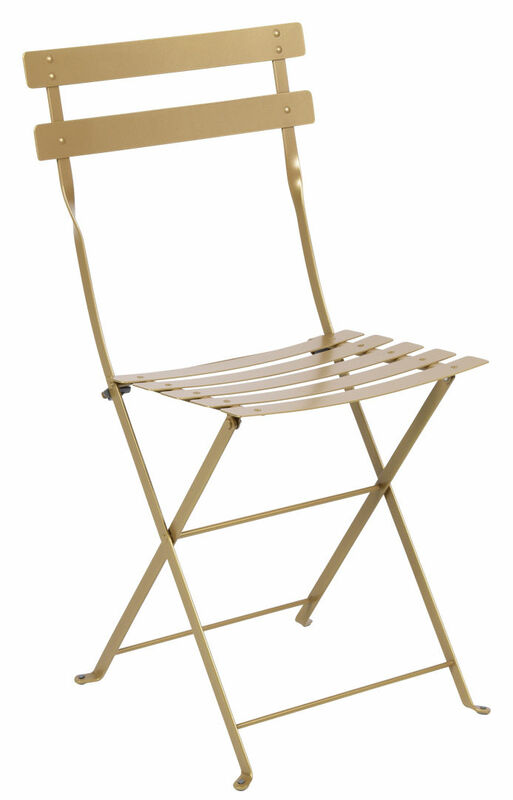 The folding chair is available in a host of colours which offer as many options for creating your own décor. Compact and idea for tight spaces.